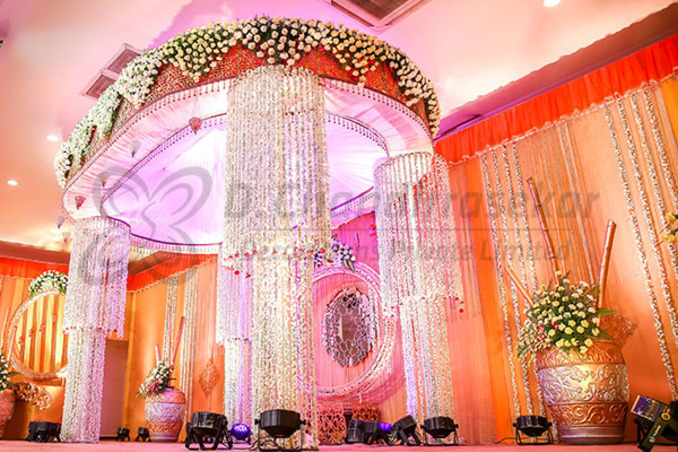 Indian weddings showcase cultural and ethnic delight and are synonymous with traditions. 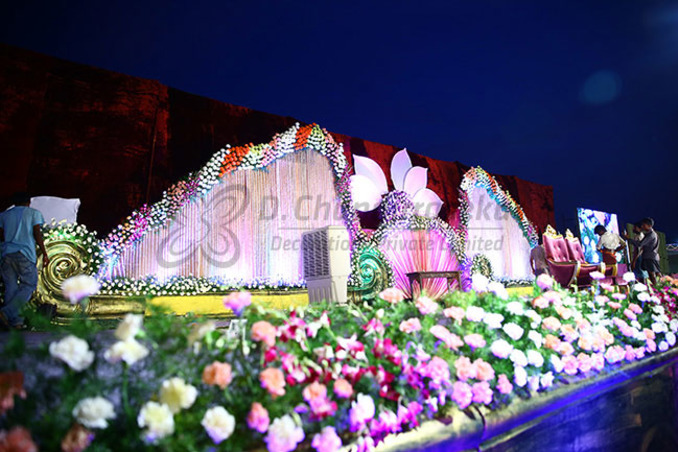 Flowers are part of the wedding and translate rich meaning and intense significance. Flowers are crucial to complete mystic rituals and gain the blessings of the almighty. 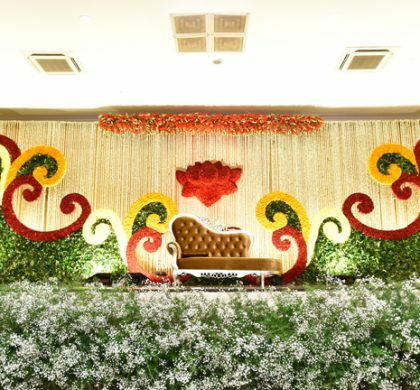 Be it the floral displays, entryway decoration, centre piece, mantle piece, mandap decors, garlands or showering blessings flowers play a vital role in an Indian wedding. The decoration flowers ideas are never ending. 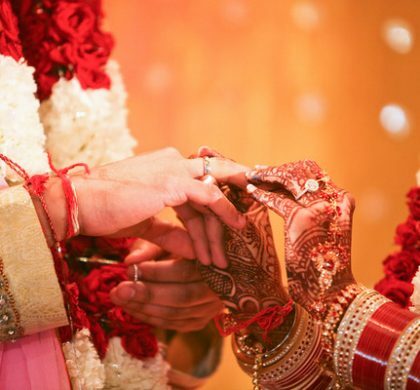 For instance, in the Hindu culture exchange of garlands or Var Mala ceremony demonstrates the union of two souls in love. Similarly, in Christian wedding it is customary the bride throws her bouquet at the crowd. What more, the flower veils are mandatory in Muslim wedding. 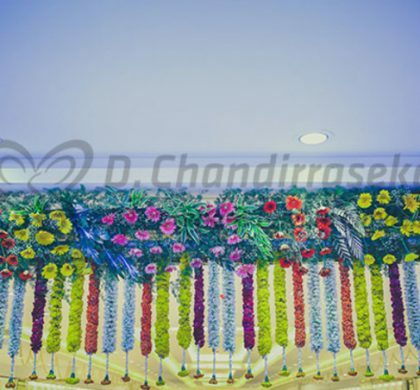 Irrespective of religion and regional prominence, flowers are an integral part of the wedding rituals and traditions. Without being said, flowers can communicate a lot of messages. The colours behind each flower are an expression of a feeling. Flowers are available in every colour under the rainbow scale and have a meaning. The colour guide helps you pick the right coloured flower for the right emotions. Red roses are always associated with passion and love. It is a symbol of romance and courtship. The reason being red is related to the heart. It also represents courage and strength, the two essential characters one should possess on the day of tying the knot. Orange colour brings cheers. It is a symbol of joy, warmth, and happiness. It can brighten up the situation by turning it upbeat. It creates an energetic vibration and can be added in your wedding décor to create a warm environment. Lilies, poppies, daisies and dahlias are some of the orange varieties easily available in the market. Green is the sign of fertility. It is the early sight of spring and represents youthfulness and harmony. Green flowers are a symbol of good fortune, new life, and renewal of a relationship. It brings a balance of freshness into your life. Some of the green flowers available for decors include Orchids, Hydrangeas and Spider Mum. Blue keeps the romantic fire burning. It symbolizes intimacy, serenity, and commitment. The blue flowers bring in trust and what could be the best way to showcase your trust and commitment than a bunch of blue flowers during your wedding ceremony. The blue flowers also help to calm worries. It brings calm to the room. Blue coloured flowers apt for wedding celebration include Irises, Hyacinth and Morning Glory. White is a symbol of purity and fidelity. It is the choice of bride for their ceremonial bouquet. White coloured orchids, roses and lilies are the right choices. Pink personifies grace and happiness. It is feminine, delicate and gentle. Flowers in pink include roses, dahlias, and Azaleas.